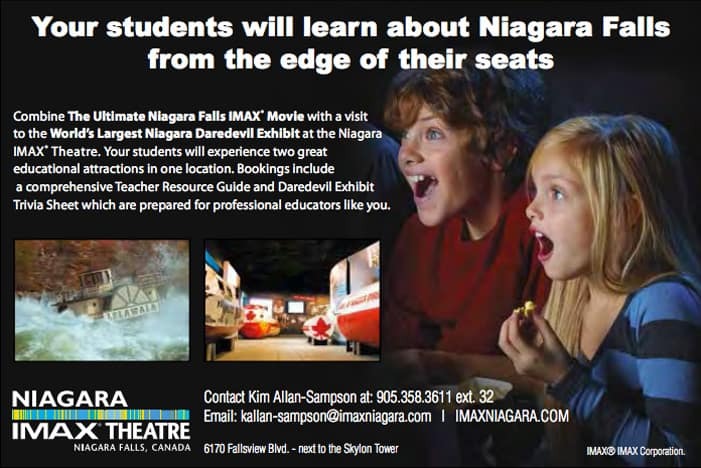 to the Niagara Falls IMAX is no exception. Your students will get a true appreciation of the history of Niagara Falls, as they are both educated and entertained by our presentation of Niagara; Miracles, Myths and Magic. Our film encourages the development in learning the history of Niagara including the battle of 1812, Native history, Geological formations and the human achievements of those that conquered the mighty Falls. We also have a wealth of historical information and artifacts in our Daredevil Gallery.